If anybody asks you which mobile phone is the most popular and the most beautiful nowadays, your answer would probably be the Samsung Galaxy S8 or S8 Plus. Unquestionably, everyone today is in love with this smartphone. Samsung did a wonderful job in designing these two smartphones. The all new Galaxy S8 and S8 Plus come with a curved glossy polished display. And it is quite sure that if you possess this smartphone or planning to purchase the one, you don’t want to add any blemish to your SUPER AMOLED 1440×2960 resolutions display whose replacement may cost you more than any average rated smartphone. 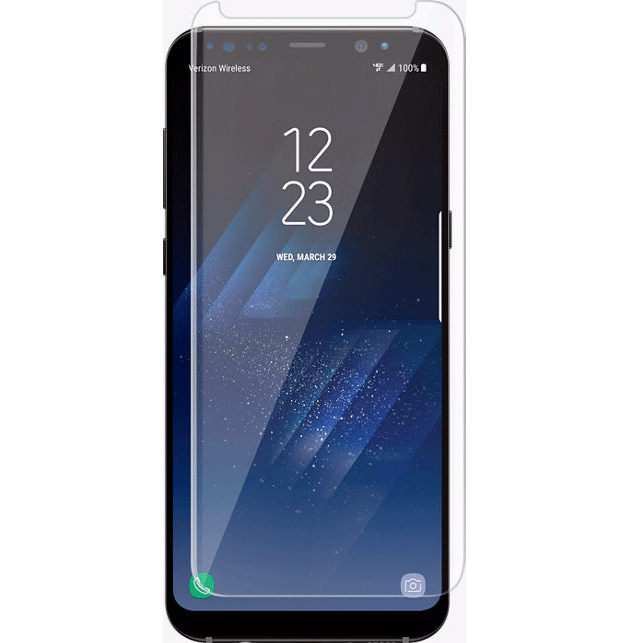 If you are wondering which screen protectors for Samsung Galaxy S8 to choose which will not only enhance the look of your smartphone but also adds protection to it, this article is for you. So costly are the screens of these smartphones that even in a case of a slight drop on the floor, might make you jump out of your skin; therefore, it is obligatory for you to look out for its protection. In spite of all promises of toughness and challenges posed by the newer versions of gorilla glasses that comes with the S8 and S8 Plus, we cannot count on it as a whole. There is nothing in this world which is unbreakable and investing a little money in Galaxy S8 protectors can be worthwhile. 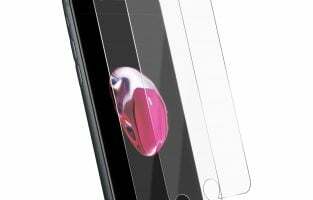 We have chosen some of the coolest and the most promising screen guards from the online stores so that you can pick up one of them according to your taste. We have placed these screen protectors in an order of increasing cost, starting from the cheapest. 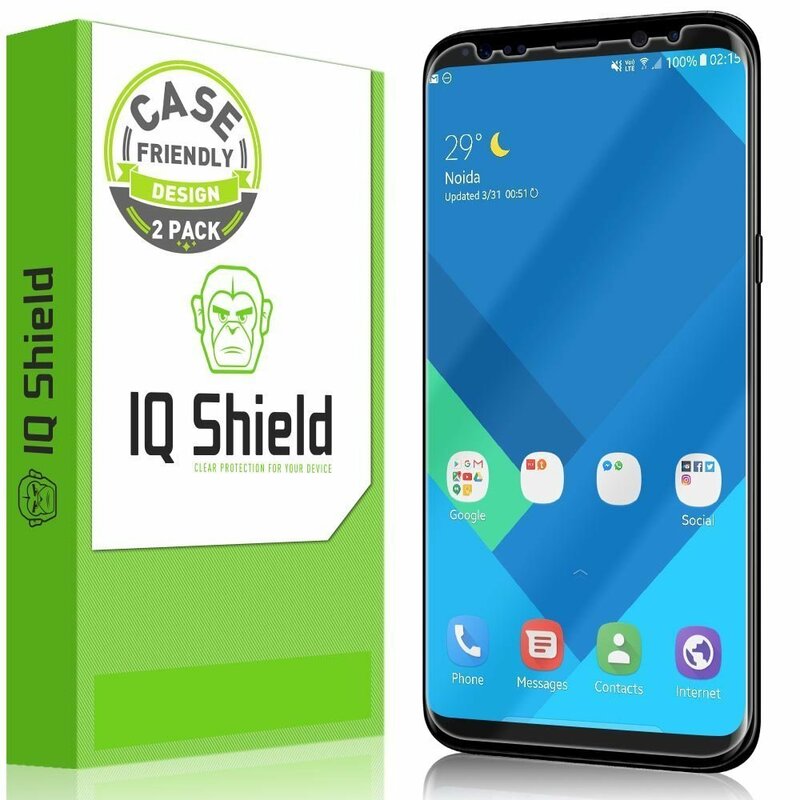 The IQ shield is famous for almost all the mobile phone accessories such as notebook computer, MP3 player, gaming system, etc. however, it has gained ground in the field of screen protection too. 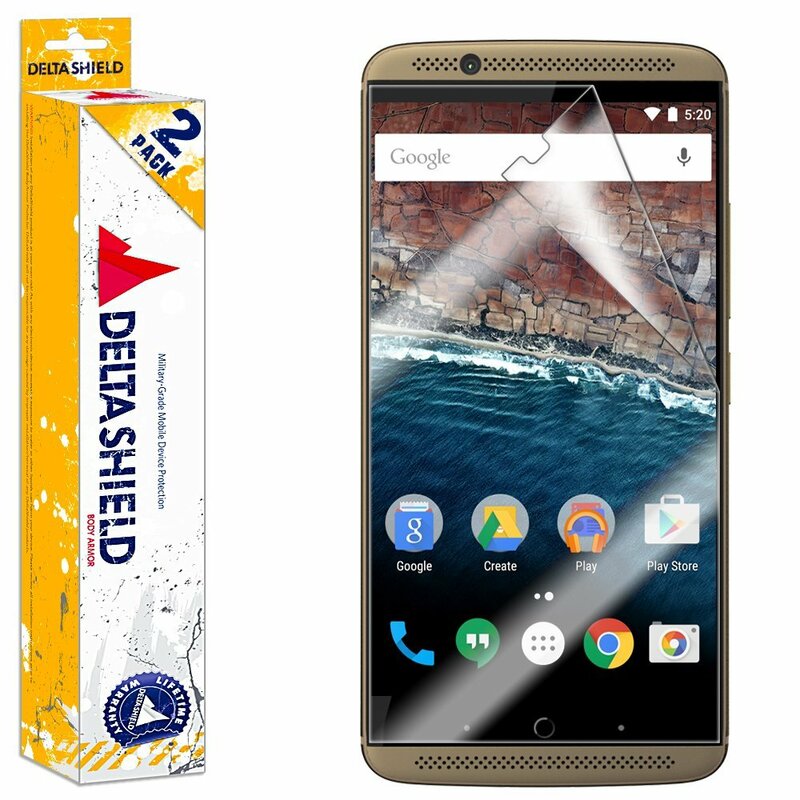 The IQ Shield is providing an exclusive two screen protectors at the price of one. The two can be very beneficial in case you ruin the first one. The screen guard protection for Samsung Galaxy S8 is made of a material for a smooth surface and high touch sensitivity. The company is also promising for a bubble free screen experience. 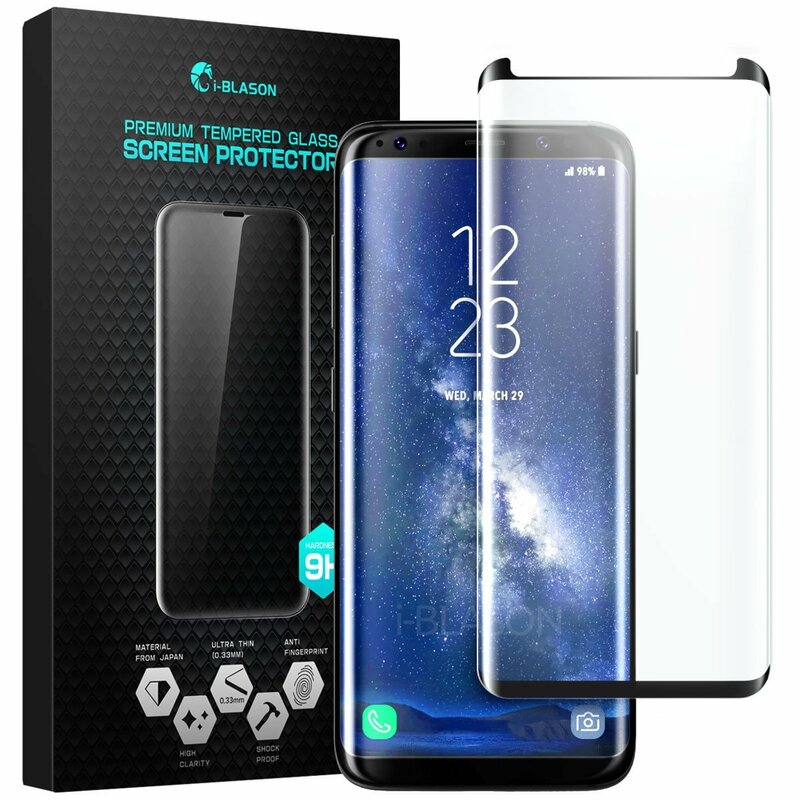 The sleek screen guard with a price of $7.85 is an excellent choice if you don’t waste too much money on the protection, at the same time you want a quality product. Nobody wants to compromise with the HD display of a Galaxy s8 which costs this much. 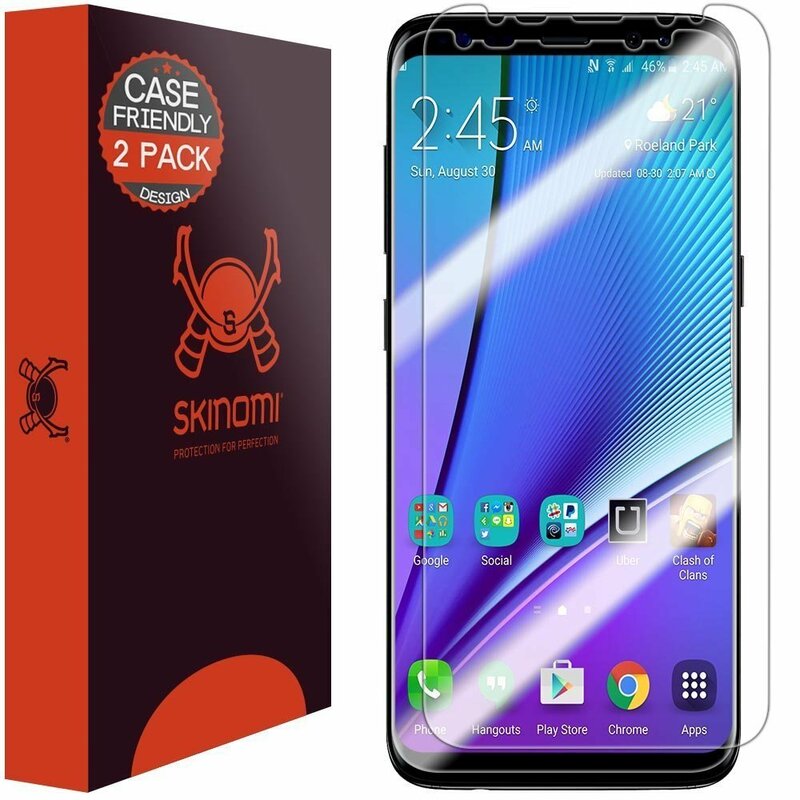 The Skinomi TechSkin screen protector gives you the same experience of display quality that you are getting without any shield on the surface of your screen. The screen protector comes with UV clear coating which prevents yellowing of a glass. Besides, the screen protector comes with a user manual too, which will let you apply your screen guard by yourself. It is really easy to install, with extreme durability and a wonderful feature called self-healing. Moreover, the company is also providing you two screen guards for future use. If you are a rough smartphone user, the name of the protector suits your personality. Its armor-like strength makes it resistant to many accidental drops and scratches. The premium film used on this screen protector makes it flexible to cover all the boundaries of the bent display of S8. 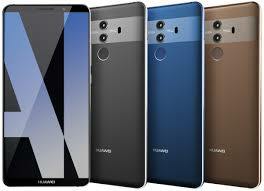 Besides, you will get matte finish smooth display accompanied with many features like anti-fingerprints, dirt/dust resistant, etc. Again, it is a pack of two screen protectors, easy to install and you will have one leftover. 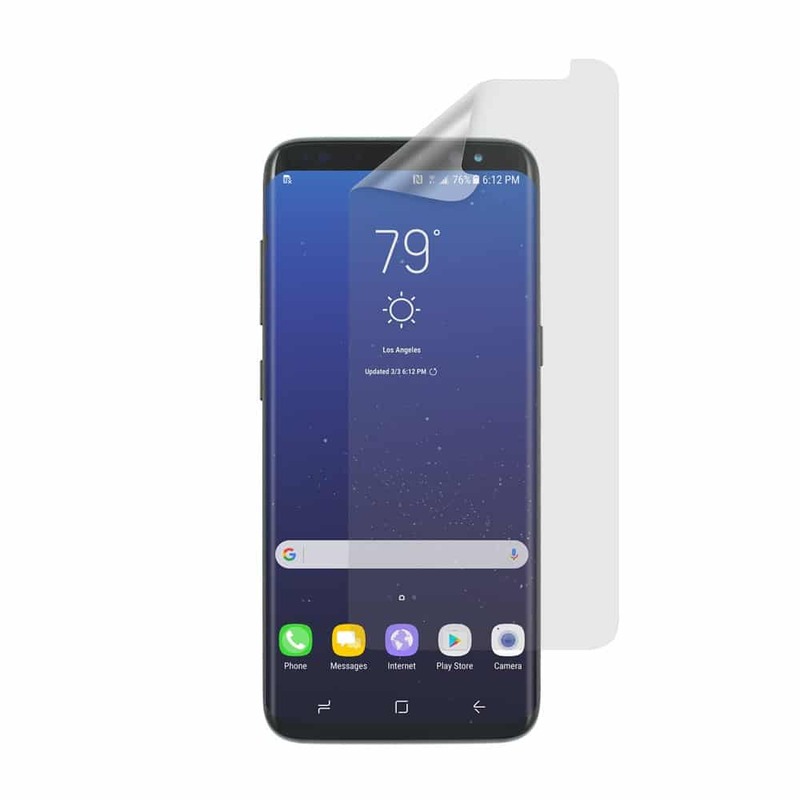 The curved screen on Galaxy S8 and S8 plus is one of the main problems with the bubbles and improper fitting of screen protectors at the sides of the smartphone. 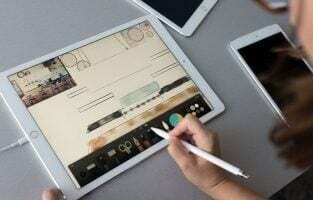 If you invest a little more money, you will have a wonderful tempered glass which assures you of full coverage of all the edges without any blemish. It is as clear as a crystal so that you will surely not feel any burden on your smartphone. Besides, it is promising you of its case friendly UPS so that you will have no contrition after the purchase. 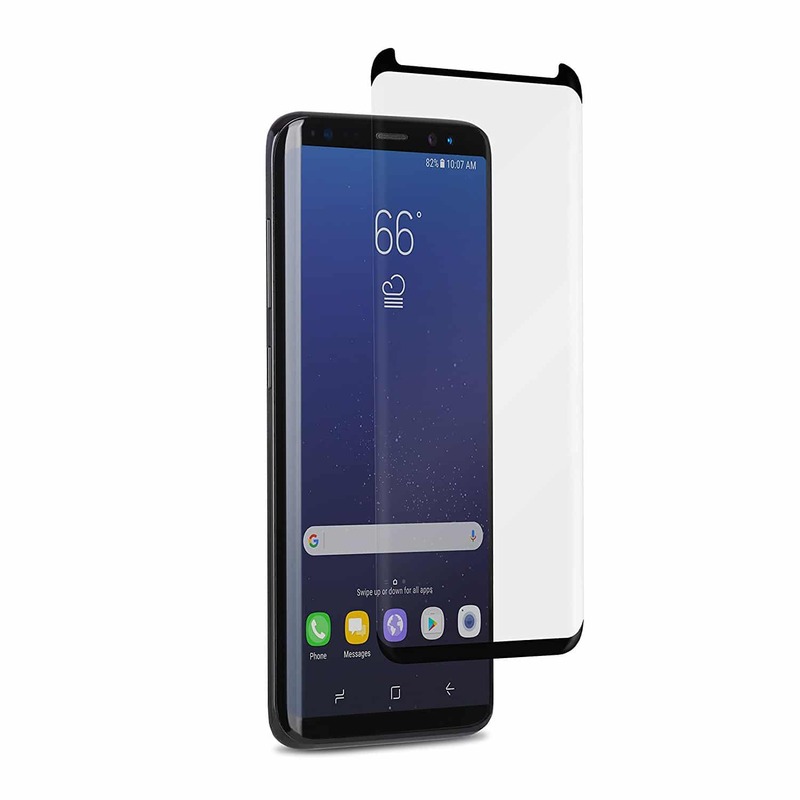 If you wish to deal a screen protector which is cut out for the edge display of the Samsung Galaxy S8, this choice is for you. 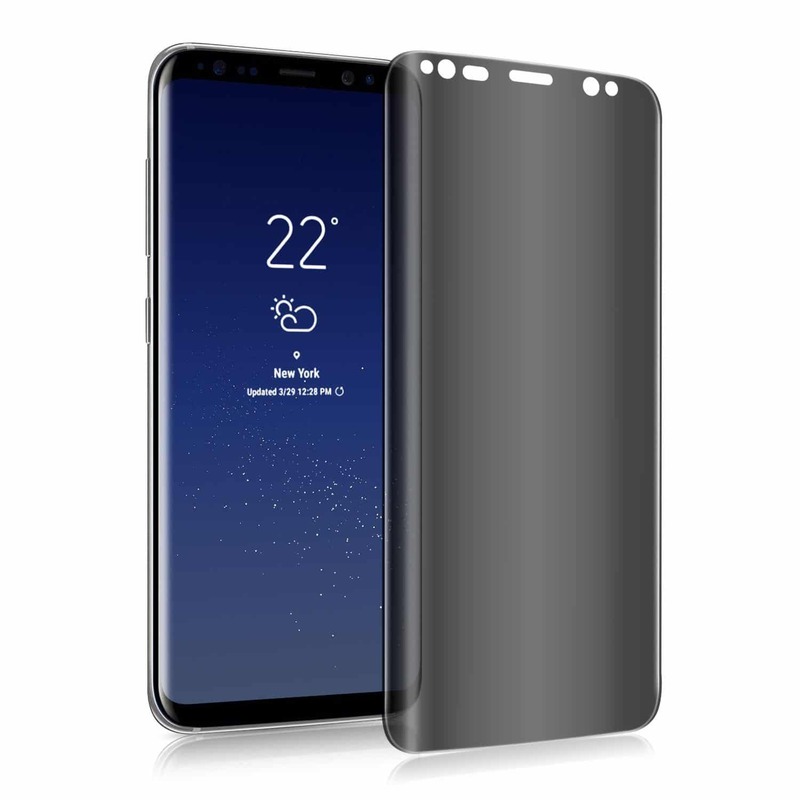 It has corner edges which match exactly to that of Samsung Galaxy S8 and S8 plus. Moreover, due to its black shades at the corner, it hides as a shadow. It is so smooth that you will you will find difficult to tell if it is a screen protector or a screen itself. As per the name, the protector seems to be very thick and hard. It is made of highest grade Japanese Asahi glass that absorbs the extreme impact of drops. The bends at the corners are done with the heat bending technology. It is easy to apply and you can clean it using alcohol time to time. This is our favorite product of all, as it comes with a variety of colors. Adhering to its name, the screen protector has a 3D curved edges structure to fit accurately. The work is done very precisely, though it is a bit pricey. Thanks to oleophobic coating done on the screen protector, it doesn’t allow any fingerprint/dust to stay on it. Another interesting fact is that it has a hardness of 9H which makes it a tough competitor to any screen protector at this price. This screen protector comes under the category of overpriced. 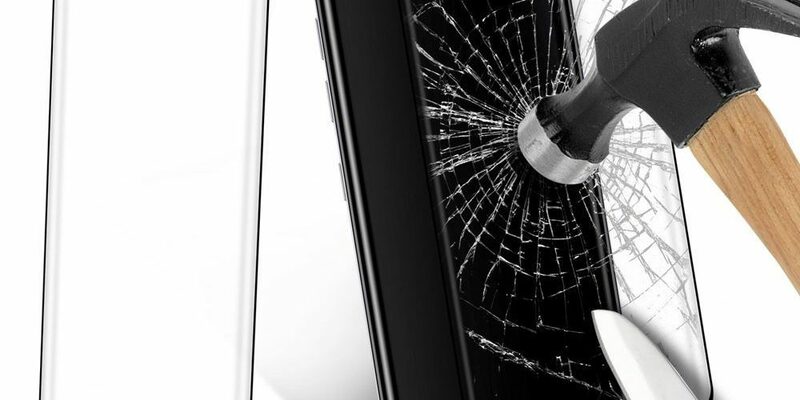 The unique IonGlass technology makes its glass tougher than any other. It is a screen protector to make your smartphone lighter plus it doesn’t put any burden on it plus you will hardly notice any protector applied on it. The screen is precisely cut and provides edge-to-edge display protection. Since you are paying a bit more price on this stuff, you will be getting an oleophobic coating to make your screen always look free from any fingerprint. A screen protector for those who can afford a pricey deal! If you really want to invest some money in screen protector, then this can be the prime product for you. Although it is a bit expensive, your smartphone is priceless too. Samsung S8 really deserves this type of screen protector which comes with an enhanced glass made of a material called Dragontrail Pro. This glass is quite hard to be damaged easily. 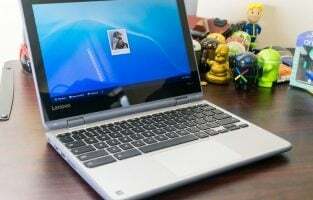 Besides, you will get really good looking and quality touch sensitivity on it. This curved tempered glass may be extravagant for some; however, its quality matches its price. Incipio is a well-known brand for manufacturing accessories. The screen guard provides a great protection and quality fitting to your smartphone. None but Incipio is a brand which is providing a warranty of one year for this product. The screen guard perfectly covers all the edges. 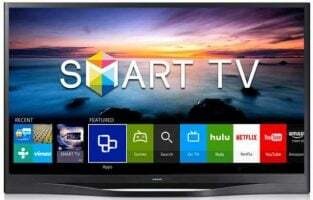 Besides, it has a crystal clear appearance and a great touch sense so that you will be enjoying the gaming in high definition without any hindrance. 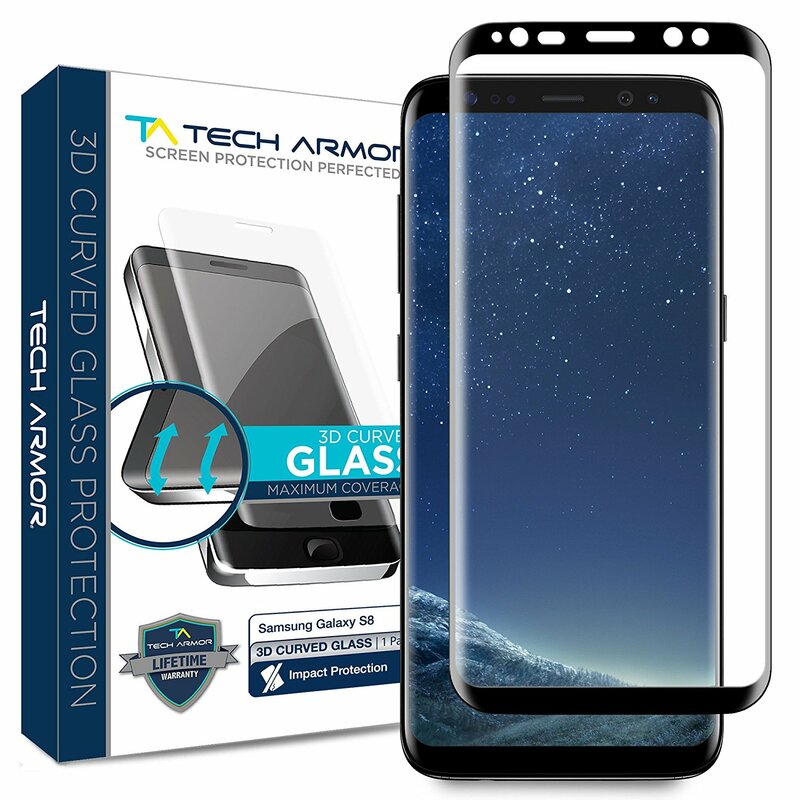 As there is a paucity of information on the internet which accessories to choose, that’s why we brought this online article which will definitely help you pick up a new screen protections for Samsung Galaxy s8.